Darkness Within: In Pursuit of Loath Nolder - Buy and download the game here! Darkness Within: In Pursuit of Loath Nolder takes players to an eerie and disturbing corner of the human psyche exploring nightmares, the occult, and a frightening psychological world. The game is fillled with terrifying vistas and a compelling plot that revolves around a protagonist-investigator in classic Lovecraftian style. This seemingly routine investigation takes a dramatic twist as strange and terrifying happenings begin to plague your psyche. You experience lucid horrifying dreams and are tormented by paranormal happenings. Why do days pass instead of hours when you sleep? What’s real and what’s not? As you pursue fugitive murder suspect Loath Nolder, you must face dire truths hidden deep within a haunting darkness and the recesses of your mind. 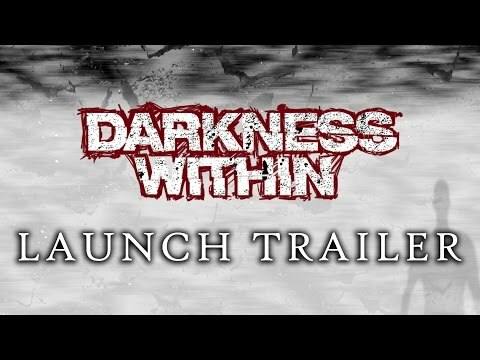 Darkness Within is truly a game that will send shivers up your spine. Built-in Hint System with 3 dificulty levels – Players can choose to play in Standard, Detective, or Senior Detective modes. Enhanced Gameplay Experience – The proprietary game engine enables compelling special e ects and stunning visuals in a panoramic a first person game environment. Eerie Gameplay Atmosphere – An immersive experience is created by a fascinating story, chilling real-time cut scenes, and	haunting music.